One man. One bull. One nerve-wracking competition. The extreme sport of freestyle bullfighting has made a huge comeback after nearly dying out over the past few years. 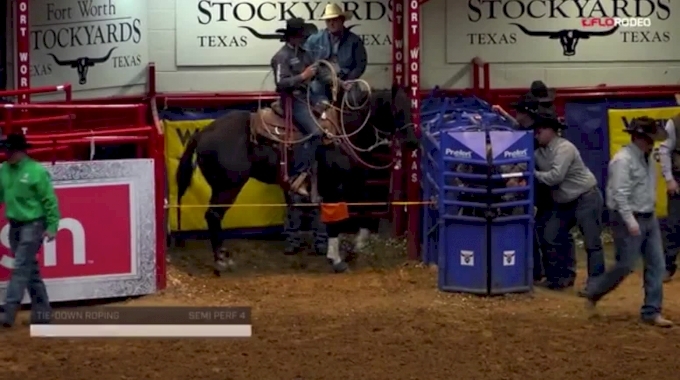 The creation of the Bullfighters Only (BFO) and later, Shorty Gorham’s American Freestyle Bullfighting (AFB), opened the door for a whole new generation of athletes and contractors to claim this unique spot within the rodeo industry. Watch the 2019 Mini Bull Riders and American Freestyle Bullfighting, LIVE on FloRodeo, Feb. 8-10. So what is freestyle bullfighting? In one word: Badass. Combine acrobatics, insane wrecks and a man trying to best a 1,200-plus pound Spanish or Mexican fighting bull that’s out for blood, and you’ve begun to scratch the surface of what is freestyle bullfighting. Fight Time: Depending on which association you’re fighting in, you’ll have a different amount of minimum time required to fight the bull with additional time to “sell” the performance. You aren’t required to utilize the additional time, but you do need to make the required minimum (which is 40 seconds in the BFO, 30 seconds in the AFB with an additional 20 seconds and 15 seconds to make the sell, respectively), otherwise, you’ll be marked as a no score. 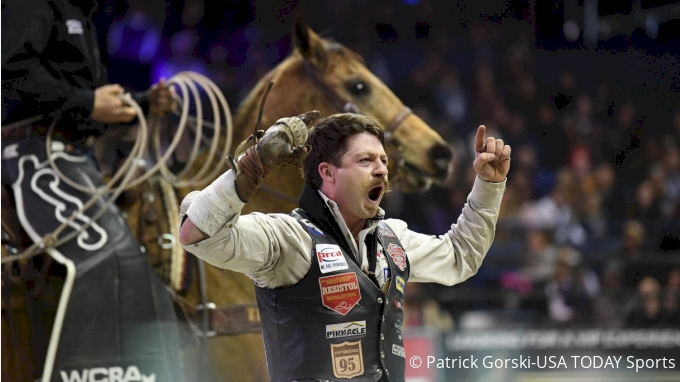 Scoring: Just like in the bull riding, there are 50 possible points to be awarded to the bull and 50 possible points awarded to the bullfighter for a total score of 100 points. A great fight is 88 to 90 points. The bull runs around the arena for more time than he is engaged with the bullfighter. The bull refuses to engage with the bullfighter. They exhibit control over the direction of the bull with fakes, by making rounds and displaying other aggressive maneuvers. They perform creative tricks ranging from jumping to flips. They are hooked (points are deducted for every subsequent hooking). They jump up on the fence. They run from the bull instead of controlling his movement. So now that you know the basics, let’s get in-depth and talk about the finer details of each bullfight so you can be an expert fan this weekend. Fake: A maneuver that tricks a bull into thinking the fighter is going one way when he really isn’t. Knee Fake: A fake done on your knees by slapping the dirt to the right or left of you and hoping the bull takes the fake. Back Fake: A fake performed with your back to the bull. Back Reverse Fake: A fake done where you spin and go the other direction from where you had the bull going initially. Reverse Knee Fake: Performing a knee fake with your back to the bull. Selfie Fake: Perfected by Ross Hill, the selfie fake utilizes a phone to watch where the bull is coming out and then faking him out. Hooking: When a bull gets a fighter down to the dirt and proceeds to stomp on, trample and hook him. Cape: A move where a fake is thrown and as the bull runs past, the bullfighter will throw out his arm as an homage to the bullfighters of Spain and Portugal. Extra points if you run your hand down the bull’s back. Fun Fact: Cody Webster is the undisputed King of Caping. Flips: Front flips and backflips get big points. Flat Foot Jump: When a bullfighter jumps over a bull from a dead stop. A variation of this would be the Tomahawk Flat Foot Jump, a move Canadian Kristopher Buffalo is well known for. Sign up to watch the 2019 Mini Bull Riders and American Freestyle Bullfighting, LIVE on FloRodeo Feb. 8-10 by clicking HERE.